I like to figure out what makes things work. I don’t have a work desk cluttered with vacuum cleaner parts or anything, and I still think televisions are magic, but complicated things are like complicated ideas, which then become complicated movies. I like to build things without the instructions before I realize I made a huge mistake and start over. One thing that I find interesting about both movies and anything material that requires assembly is that the simpler it is, the fewer the parts and those parts tend to serve a dual purpose, functionality and style. The more complicated, once you crack open the hood you find a big ugly mess of raw function. I think that films are the same way. Small films can be great fun. A really enjoyable, but simple movie is never unimpressive. 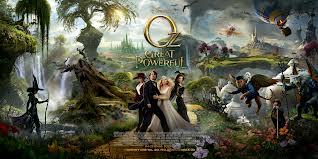 Big, movies with lots of moving parts are very ambitious projects that not many can handle. It’s a problem that tends to be very unique to large properties, such as those based on comics, or blockbusters like Transformers and Pirates of the Caribbean. Spider Man 3, was pretty disliked and one of the biggest, but also most vague complaints about it was that “they” tried to do too much. TDKR also got criticism for being overly complicated. Every X Men movie, even First Class, is notorious for jamming more characters than necessary into the picture. Jon Favreau turned down returning to Iron Man 3 as director for various official reasons, but word early on was he was concerned about flooding the film with too many characters. The pressure to overcomplicate these films comes from the studios who want to be able to market more action figures. Joel Schumacher was under a lot of pressure from Warner Bros. to turn the Batman franchise into basically a feature-length commercial for Batman toys. But what makes a movie go from a solid, provocative, and even admirable complexity to an overcomplicated tangled mess? Iron Man 2 had dangerous potential to be convoluted and dizzying, but they had good mechanics. The Dark Knight was the epitome of the kind of masterfully woven tapestry of story that Chris Nolan has become known for. I think the key is functionality. The Dark Knight had a theme that was continuously reiterated by the story’s central characters. The theme was choice. It was full of dichotomies: Dark Knight/White Knight, Chaos/Order, Bruce Wayne’s inner dichotomy, Two Faces outer dichotomy, Batman’s struggle to reconcile freedom and justice, and Harvey’s resignation to chance determining his actions. For all that is going on in the movie, everything taps into the same theme and reinforces the body as a whole. In Iron Man 2 the theme was legacy. It’s like a home base you can return to if things are getting out of hand. If a movie is particularly large and hosts a number of sub-plots and a wide cast of characters you need to determine above all else, what the heart of the story is. It can’t just be a simple heroes journey. It must be thought about as a thesis, with each separate plot supporting it. When you make a movie about a flawed hero overcoming obstacles and saving the day, it’s best to give him one nemesis for a tight well-rounded effective and exciting story. You don’t want him facing a thief with superpowers, who’s trying to save his daughter, a former BFF dead set on vengeance, and a work rival who gets his hands on your symbiont costume and becomes the worst ever representation of Venom. Spiderman 3 had three major villains and no heart. Peter Parker’s struggle is explored to death and yet it still works in small doses. It isn’t enough, however to support so many adversaries without a central theme that they can plug into. It’s also a terrible waste of great villains. The easier the movie can be summed up in one idea (better yet, one word), the easier it is to connect all of the characters to that idea so that they serve a unique function in telling your masterpiece. If you try to give each character their own separate objective that does not reinforce the theme of the primary storyline the film becomes fragmented and crushed under its own weight. 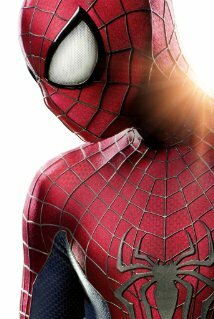 The Amazing Spiderman was a great movie. It’s a brilliant retelling of the origin story with terrific new vision. It was also a pretty standard hero movie. The upcoming sequel, following in the tradition of pretty much all hero movie sequels, has a cast list that looks like an unfinished brainstorm. The talent is stellar and it isn’t necessarily bad news, but it isn’t looking great either. Jamie Foxx, Paul Giamatti, and Chris Cooper have all been cast in villains roles. Foxx plays Electro (guess what he does) and Giamatti will be Rhino, which is an interesting choice, but I have no problem going with it. Now as far as I can tell, Cooper is signed on to play Norman Osborn, who becomes the Green Goblin, but where Foxx and Giamatti are credited with characters names AND their supervillain names i see nothing actually saying Green Goblin will make an appearance. That would be good. It makes perfect sense to set Norman Osborn up as a main character as he runs Oscorp and likely has something to do with the mystery that Parker continues to unravel about his parents. The Incredible Hulk pits Banner against the Abomination making his defeat the resolution while his real nemesis, General Ross, lives to fight another day. Similarly, Loki conjures up the The Destroyer for Thor to battle and saves his best stuff for later. Allowing a character to be introduced without giving them their own storyline to finish is like a delicious glass of Sam Adams, always a good decision. Norman probably enlists Electro and/or Rhino as thugs. that would be typical and raises no alarms to my mind. Since there is no way such great talent is going to be squandered on roles like Toad and Sabortooth in the original X Men, I think it’s a good chance we are in for a nice ride. Marc Webb is still directing, The Kurtzman/Ortiz writing team are big hitters scripting the story by James Vanderbilt who penned The Amazing Spiderman. I would not expect a big thematically interwoven monument of a film, but provided Norman Osborn stays out of the green suit this could be a fascinating sequel.